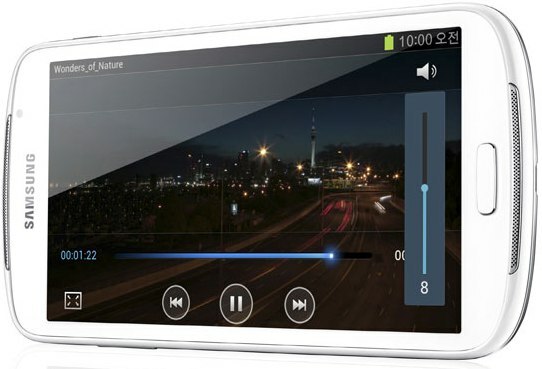 Samsung Galaxy Player 5.8 features 5.8-inch TFT-LCD display with 960X540 pixel resolutions and comes with 1GB RAM. 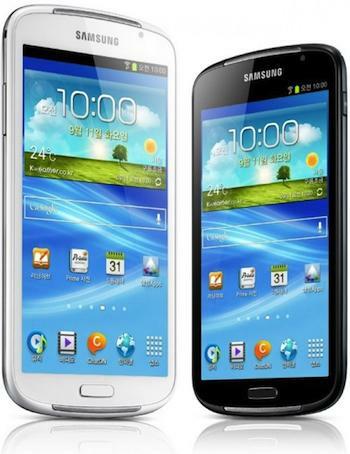 It runs on Android 4.0 Ice Cream Sandwich OS with TouchWiz 4.0 UI and has 16/32GB of storage expandable up to 32GB Via. microSD card. Samsung Galaxy Player 5.8 equips a VGA front-facing web camera. Connectivity options includes Wi-Fi 802.11 b/g/n, Bluetooth 4.0, GPS and built-in stereo speakers. Samsung Galaxy Player 5.8 comes with standard 2500mAh battery. It weighs 221gms and measures 10.8mm thick. It will be availabile from September 2012, pricing unknown. Tags:Samsung Galaxy Player 5.8, Samsung Galaxy Player 5.8 features, Samsung Galaxy Player 5.8 specifications, Samsung Galaxy Player 5.8 review, Samsung Galaxy Player 5.8 details, Samsung Galaxy Player 5.8 availability, Samsung Galaxy Player 5.8 specs, Samsung Galaxy Player 5.8 images, Samsung Galaxy Player 5.8 pics, Samsung Galaxy Player 5.8 pictures, Samsung Galaxy Player 5.8 price.